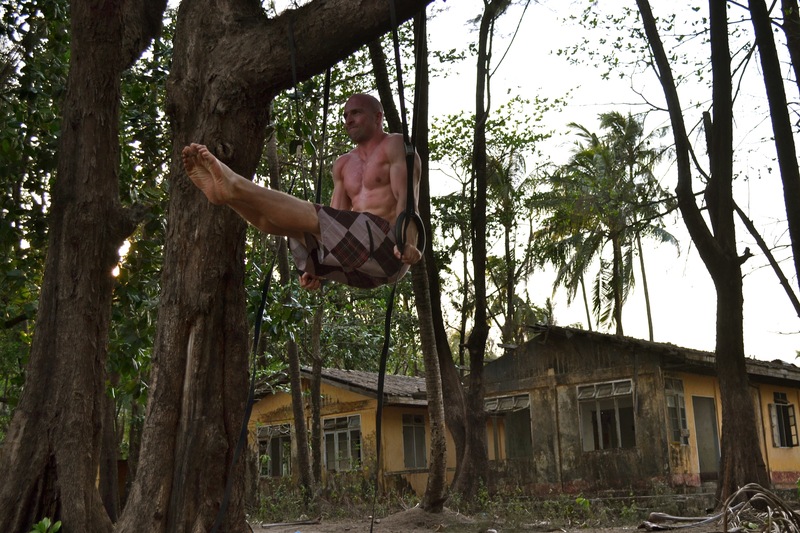 When I returned from my month of traveling in Myanmar, I found myself having lost quite some muscle and weight. I had brought my gymnastic rings, had been working out rather regularly, with bodyweight, which in the past had been adequate on vacations, to somewhat keep my physical condition. But this time, I think one of the deciding factors, was the lack of proteins in the meals. This just made it almost impossible for me, to keep my weight and muscles. I had gone from being in the best shape of my life, to probably the worst I have looked for the last 6-8 years. A lot of what was lost, of course, was just water, and my muscles being flat, from lacking proper nutrition and exercise. But it made me decide that the next period, would consist of primarily bodybuilding. It is very possible to gain muscles with gymnastic movements and strength exercises – I have done so in the past. But is it the most optimal way to do so – no. If it were, you would see bodybuilders do gymnastics, instead of free weights. Therefore for a couple of months, my focus will be primarily on building muscle. I will do lower weight with very high volume, except for Standing OH Press and Deadlift where I will use Wendler 5/3/1 – which did wonders for me when I prepared for Danish Crossfit Open. Even more specific, my focus is on arms and upper back, since these seem to have suffered the most loss of mass. So even myself, being a big proponent of bodyweight exercises, looks in other directions if this makes more sense, given my goals at that point. I am a strong believer of doing one thing at a time. Or at least having one main goal to measure all your decisions up against. Now that my main goal is putting on muscle mass, especially on my upper back and arms, I choose exercises that targets specifically those and focus all my energy on them. If I still wanted to incorporate ring exercises, they would be put at the end of the workout or perhaps completely different days. But the second I felt they had a negative impact on my ability to recover – they would be removed. One actual example of me “removing” something from my workouts, is sprints. Usually this time of year, I would drive to a track and run a number of 2 or 400 meter sprints, after my strength-sessions. But with the increased stress on the body, of very high volume workouts, my body is simply not able to recover properly, if I added sprints as well. Instead I added some recreational running, the day after each hard workout, which burns some calories and actually feels like it inhibits my recovery. All this boils down to. Have a main goal. You can have additional goals, as long as they are not detrimental to your main goal – but have a main goal and work your as of to get to that goal. If you haven’t got a main goal, how do you know if what you are doing, are moving you in the right direction? This is probably one of the most difficult things for most people working out. They want to do everything at once – which in the majority of cases ends up leading them to achieve nothing.